An excellent service was provided by both the salesman, and surveyor. The whole process was explained throroughly and sound advice proffered. The quality of the product is superb. The fitter Darren Wise was a joy to watch with outstanding skill of hand and fine attention to detail. At every stage of the fit he kept us fully informed of the work to be done and consulted us regularly to make sure we were happy with the way ahead. All in all a pleasureable experience, and I would not hesitate to use Everest again. Good Sales and excellent fitter but their after sales service is rubbish. Have been trying for the last three weeks to have a granite work surface delivered and installed. First Delay was caused by the granite being the wrong shade of colour, then then their sub contractors managed to crack the granite when cutting it in their factory, and finally when the work surfaces were delivered last Monday they discovered that the ten plate had been incorrectly measured , they chipped my new ceramic induction hob whilst trying to fit it and to cap it all they managed to crack the granite again. Three weeks after the kitchen should have been installed I am still waiting while they cut another piece. Complaints to Everest are met with complete indifference. 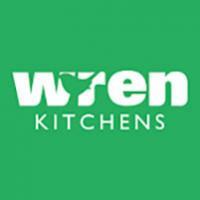 Use another kitchen supplier if you want piece of mind and competence.